This study, “Anti-tumor immunity controlled through mRNA m6A methylation and YTHDF1 in dendritic cells,” relies on manipulating these cells, which are a crucial component of the immune system. 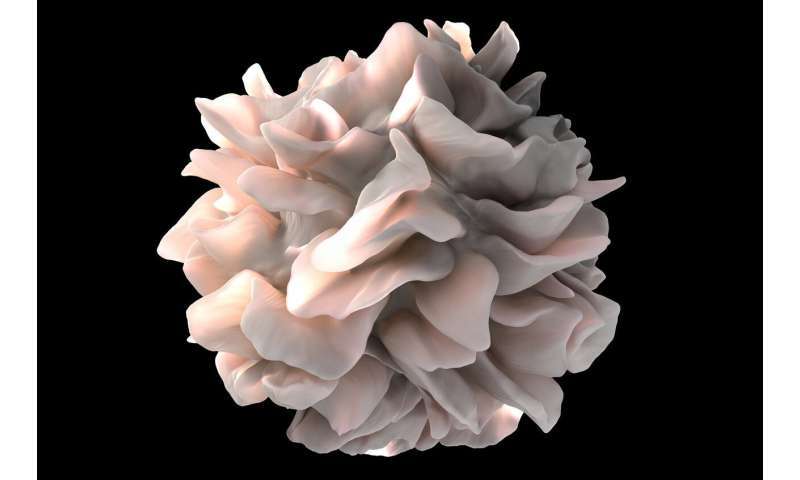 The primary function of dendritic cells is to process antigens and present them to T cells. They act as messengers, connecting the innate and the adaptive immune systems. But a protein known as YTHDF1 influences antigen processing by dendritic cells. This protein was discovered and characterized in 2015 by Chuan He, Ph.D., the John T. Wilson Distinguished Service Professor in chemistry, biochemistry and molecular biology, and the Institute for Biophysical Dynamics at the University of Chicago. YTHDF1 controls the level of proteases that destroy potential tumor antigens. This limits their presentation to T cells. The researchers confirmed that dendritic cells from mice that lacked YTHDF1 were more effective at antigen-presentation than dendritic cells from normal, wild-type mice. “Our data show that loss of YTHDF1 in dendritic cells attenuates antigen degradation and leads to improved cross-presentation and better cross-priming of CD8+ T cells,” according to co- corresponding author Dali Han, Ph.D., now at the Beijing Institute of Genomics. “It will be really interesting to test how the human system works with potential dendritic cell vaccines or small molecule inhibitors that can suppress the activity of YTHDF1 in human cancer patients,” according to corresponding author Meng Michelle Xu, Ph.D., a former member of the He and Weichselbaum laboratories.